An original 1830's crofter's cottage that has been completely renovated for modern living. Situated beside Camustianavaig Bay on the Isle of Skye, the house enjoys a rural location, yet is only five miles from Portree. 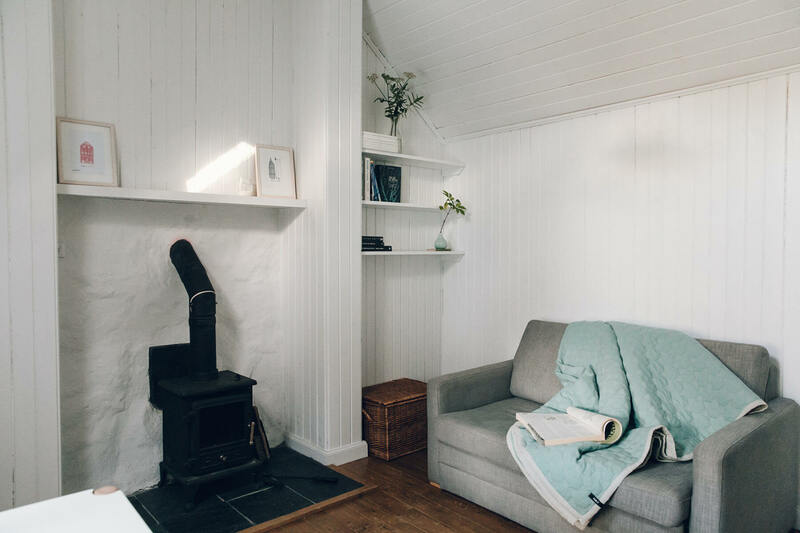 The self catering accommodation is designed as a peaceful and minimal retreat for two, a perfect base from which to explore the Scottish Highlands and Islands. The Crofter’s House is a two minute walk from Camustianavaig Bay, home to seals and otters and sea eagles. Situated at the foot of Ben Tianavaig, the area has a very quiet and rural feel, but local shops and restaurants are only five miles away in Portree. 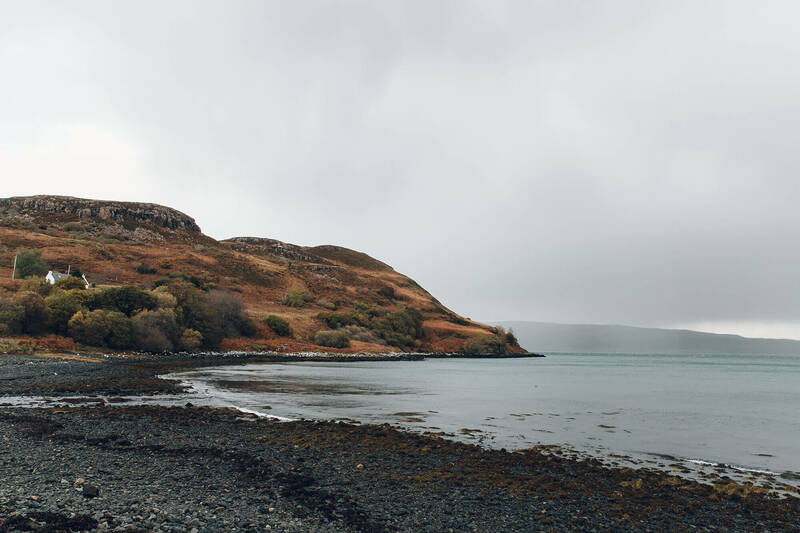 Camustianavaig is centrally positioned on the Isle of Skye making it an ideal base from which to explore the island’s many attractions including The Old Man of Storr, The Quiraing, The Fairy Pools, the Cuillin Mountains, Loch Coruisk, Neist Point Lighthouse, Talisker Distillery, and Coral Beach. Please note that each booking is subject to a £50 cleaning fee. 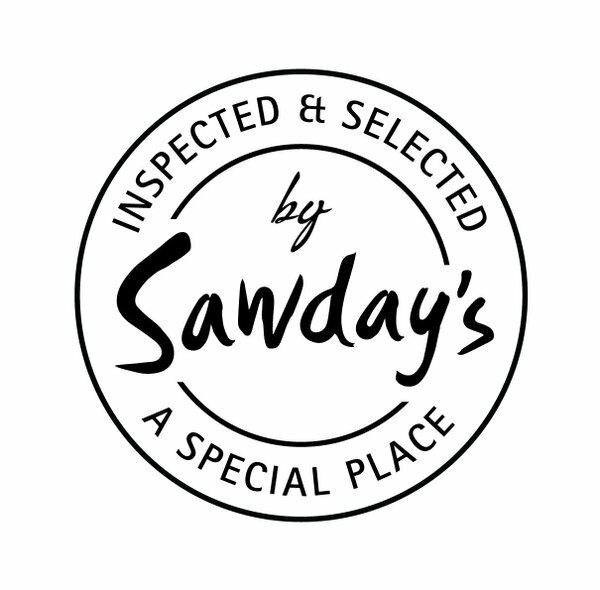 If you have a query about availability or would like to make a reservation, please contact Sarah on 07812 029231 or email us. Wow! This property is just gorgeous and a wonderful place to enjoy the magical Isle of Skye from. Everything is better than described. Gorgeous setting, lovely secluded location, high quality furnishings and finishes give this modest, elegant and understated cottage the feeling of luxury. Seriously, nothing disappointed and if anything, everything was better than expected. The wood fire place was a great touch. The kitchen perfectly equipped and set up. The bed was incredibly comfortable and the laundry facilities made doing a wash on holiday an absolute breeze. Sarah, congratulations again on such a stunning listing. When we return to Skye we will be looking up The Crofter’s House again… well in advance, as I am sure you likely already be booked out! Thank you again! What a haven of peace! The house is cosy, extremely beautiful, very well decorated in Scandinavian style. Everything is thought in detail. The setting around the house is beautiful – we saw deer and on the last day a group of seals were happily playing in the water on the beach near by! The kitchen is very well equipped. The weather was warm so we didn’t use the fireplace, the electric heating worked perfectly. The house is equipped with dishwasher, washing machine and tumble dryer. What can I say! Just perfect! !